Simple, slender and stately; the Teak Nesting Tables come in 3 sizes! Perfect for poolside or alongside a rocking chair, this Teak Nesting Table (Small) is a wonderful, convenient size for nesting in your outdoor area! 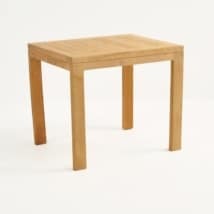 At 11 x 15 x 15 inches, the Teak Nesting Table (Small) is a solid A-Grade Teak Side or Coffee Table. These teak nesting tables can be combined with other sizes of the teak nesting tables we offer, for convenient storage and style. Made out of our fantastic A-Grade Teak, the Teak Nesting Table (Small) is perfect for sitting outdoors all year round! A-Grade is our signature product, and a stunning fit for any style of home. 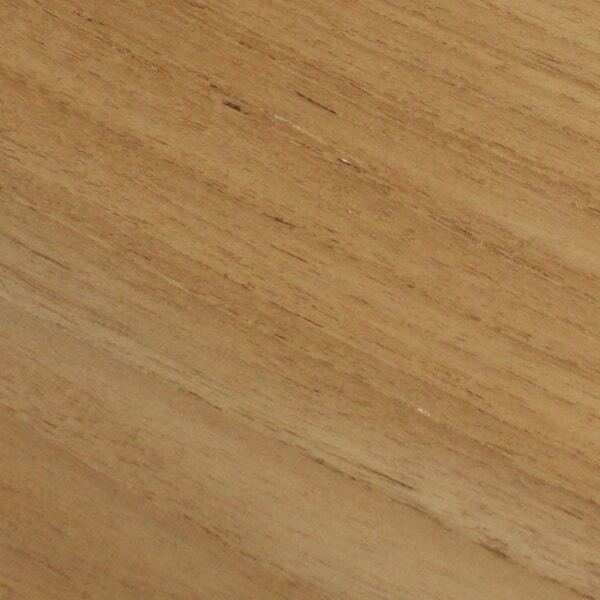 W11" x L15" x H15"
We harvest teak wood when it has become old growth trees, which means more than 40 years. It fits in with an environmentally friendly attitude, sourcing from plantations and allowing the tree to grow to its full capacity, nourishing the area. A-Grade Teak produces furniture that can last a lifetime, the only maintenance required is to clean it from time to time! Grab a nice soapy bucket of water – using a non-abrasive cleaning product like Simple Green – and clean the teak following the lines of the grain. It wont take long, you wont have to do it often, and it will keep your teak furniture looking incredible! At Teak Warehouse, we are thrilled to offer a huge amount of options to help you create your ideal outdoor area. 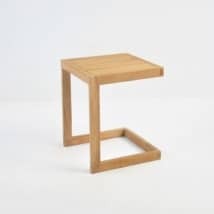 The Teak Nesting Table (Small) can sit alongside our deep seating, sun loungers, relaxing chairs, under umbrellas, and as an additional serving space alongside its Nesting Table comrades (Large and Medium sizes). We supply quotes for our furniture as well as white glove delivery services all over the country. Do you need help picking out pieces or styles? Our sales assistants are in store every day from 10 in the morning! And they are prepared to help you discover the pieces to create the outside living area of your dreams! The Teak Nesting Table (Small) is a wonderful choice for a drinks table next to one of our glorious sun loungers. Choose a more modern one, like our Stainless Steel, Teak and Batyline® mesh variety for a sleek, sharp and chic look you’ll love to place poolside. Add two or three of the Teak Nesting Table (Small) to your deep seating unit, as an individual side table for all of your guests. 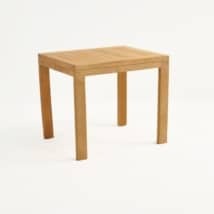 Or add in a Large and a Medium Nesting Table for a tiered effect! They literally nestle into each other – a wonderful storage trick and useful for tapas style parties. Perhaps your indoor sofa is in desperate need of a small coffee or side table for a lamp. 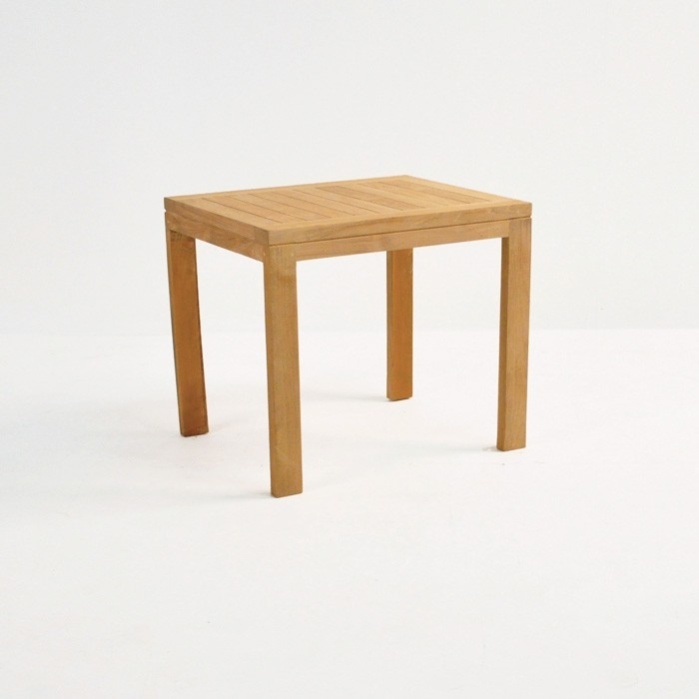 The Teak Nesting Table (Small) is the ideal size and style for these sorts of needs! A simple, strong teak rectangular frame with a tabletop boasting wide slats of wood running horizontally side by sides means it will fit in anywhere! 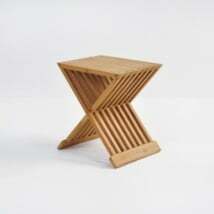 The Teak Nesting Table (Small) is a must have item from Teak Warehouse. Order yours today!